Quartz vs. 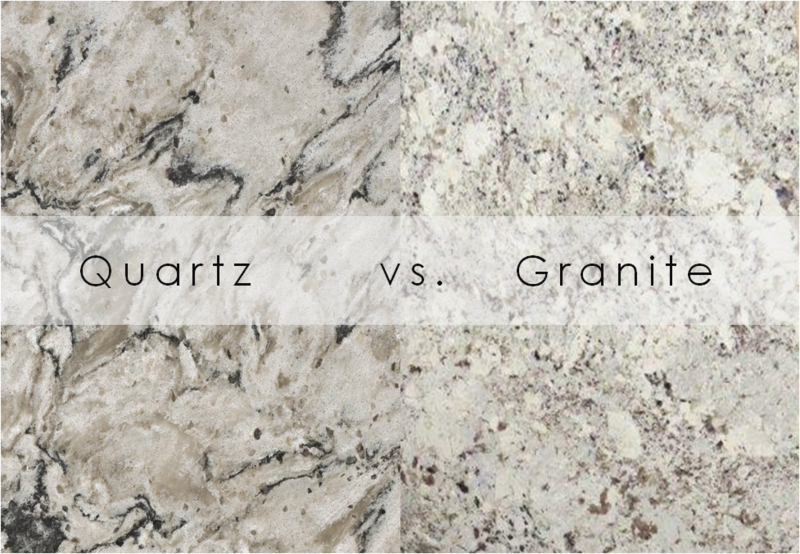 Granite: Which is Better? One of the most prominent questions we get asked at Kitchen & Bath Concepts is, “Which is better? Granite or Quartz?” First of all, both provide multiple color options, they are aesthetically pleasing, and each is comparable in price. When searching for the right countertop to fit your needs, always be sure to research the pros, cons, and maintenance of each material. Since granite is a natural stone, there is no warranty. Granite is a porous stone, requiring it to be sealed regularly to protect from stains. Since it needs to be sealed, hot plates and pots are not advised to be placed on the surface, due to melting off the sealant. Pay attention to price: Construction-Grade granite will always be cheaper due to having more fissures in the slab. (Fissures are natural breaks, or cracks, in the stone). A 15-25 year limited warranty depending on the manufacturer. Since Quartz is so consistent, going to a stone yard is not necessary. Quartz can be seen in a showroom on a small scale sample. Quartz is extremely durable. It can be cut on, it will not stain, it does not have to be sealed, hot pots and pans can be placed on the surface. This material is anti-microbial due to its non-porosity. If you’re in the market for a new countertop, quartz will be your best bet. The only downfall to this stone is that it doesn’t compete with the natural aesthetics of granite. Ultimately, durability is the most prevalent factor in countertop purchases. Theme Designed by InkHive.com. © 2019 Kitchen & Bath Concepts. All Rights Reserved.